The Internet is a horrible place when Arsenal is in poor form. You would think from the reactions online that Arsenal's performance on Saturday was so poor that they should be booted from the professional sport entirely. Wenger Out! Board Out! Players Out! Gunnersaurus Out! Just start all over again! Then, different factions would argue about what should go out first, or whether their newly formed non-league club side should start in the Isthmian League Division One North or the Southern Football League Division One Central. For some reason, after Saturday, I felt like the performance wasn't as bad as a lot of people were clamoring that it was. And then, on Sunday, I realized why I thought that way. It was because I had set my expectations so ridiculously low, it would have been impossible for Arsenal not to exceed them. And that is the problem. Worse than the result itself is the fact that I didn't even expect it to be competitive. That's the sobering truth; how the mighty have fallen. way too easily in midfield and he's terrible at set pieces." People online will choose their scapegoats per their own whims, whether it be Andre Santos, Aaron Ramsey, Gervinho, Ivan Gazidis, Arsene Wenger, or Peter Hill-Wood's first cousin twice removed. The fact is, I'm sick of that all. The constant online bickering about what should actually be done in certain scenarios, when you know if 95% of these people were thrust into the same position, they'd make some other wrong choice. Stop pretending that the job is that easy. It seems to me that in a case like this, you should get behind your own players even more, and to those who do just that, I salute you. We need more fans like the away supporters who sing "We love you Arsenal, we do" louder than the home fans no matter the score than we need the fans who hide behind Twitter to harass the players and their families. I know I am, I'm sure I am, I'm Arsenal 'til I die. Arsenal can clinch at least a spot in the Europa League Round of 32 with a win over Schalke. Schalke can clinch a spot in the Champions League Round of 16 with a win over Arsenal. They can clinch at least a spot in the Europa League Round of 32 with a draw AND an Olympiacos win over Montpellier. Montpellier will be unable to qualify for the Round of 16 if they lose to Olympiacos AND Schalke do not defeat Arsenal. History's greatest villain! Photo: The Independent. Look at that. There are eight players too injured to make the trip, plus Theo Walcott has a stomach illness. Sure, why don't we just make this as difficult as possible... it's not like this isn't already one of the most pivotal matches of the season, considering Arsenal's disastrous form. Jack Wilshere will serve a one match ban domestically, but he is available to play in Europe, and will likely start. Aaron Ramsey misses the trip with a groin injury. There are no other returns from injury expected. Arsene Wenger returns from his three match ban. I barely even remember what Wenger did to earn that ban in the first place. Didn't he go to high five Michel Platini, only to then pull his hand away at the last second? That sounds right, I'm gonna go with that. Predicted XI: Mannone, Sagna, Koscielny, Mertesacker, Vermaelen, Arteta, Wilshere, Cazorla, Walcott, Podolski, Giroud. Subs from: Shea, Jenkinson, Djourou, Santos, Coquelin, Arshavin, Chamakh. According to the UEFA release, Christoph Metzelder has not featured for Schalke since picking up an adductor injury in last midweek's cup tie. Kyriakos Papadopoulos is unavailable after suffering a blow to the head in training. Schalke lost at the weekend, too. CLUB IN CRISIS. Bad? Can I just say "bad" for Arsenal and leave it at that? Because that's what I'm doing. Arsenal is in bad form. There. Schalke was unbeaten in eight matches across all competitions entering this past weekend, but that run was halted with a 3-2 loss to TSG 1899 Hoffenheim. Schalke had twice come from behind to draw level in the match before an injury time winner from Sven Schipplock in the 91st minute. In midweek, Schalke played a cup tie, much like Arsenal did, but instead of a ridiculous 7-5 see-saw goalfest, Schalke comprehensively won 3-0 against second tier Sandhausen. I'll bet it wasn't as dramatic as the 7-5, though. child's tie? Why the hell would he do something like that? could be a clip-on? Photo: Bad Ties Weekly Goal.com. Arsenal have made 11 previous trips to Germany and have won only three times; they have also drawn three and lost five. Arsenal were in Germany for Matchday 1 last year, as Borussia Dortmund came from behind to draw 1-1 thanks to an 88th minute equalizer from Ivan Perisic. Arsenal's last victory in Germany came against Hamburg in 2006's group stage. Tomas Rosicky, who had been playing in the Bundesliga for Dortmund the year before that, had the eventual winner in a match that ended 2-1 after Hamburg scored late. Rosicky had previously scored twice for Dortmund against Arsenal on German soil in 2002. Arsenal's other two wins on German soil came in the UEFA Cup, at Werder Bremen in 2000 and at BSG Chemie Leipzig (who, as far as I can tell, don't exist as the same club anymore) in 1978. Schalke have hosted English competition on six occasions, winning three, drawing one, and losing twice. One of the three wins was over Arsenal, 3-1 in the 2001 group stage. The other wins were over Manchester City in the 1970 Cup Winners' Cup and Wolves in the 1958 European Cup. The draw was with Chelsea in 2007. The losses were to Manchester City in the 2008 UEFA Cup and Manchester United in the 2011 semi-final. "And this is what I would look like if I had antennae." 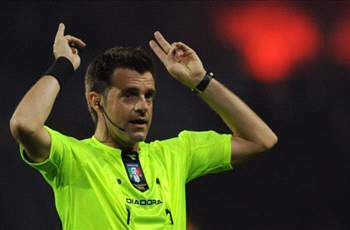 The crew of officials is from Italy; the referee is Nicola Rizzoli. Rizzoli has taken charge of one Arsenal match before in his career, and it was a big one. As it stands, that 2-1 victory over Barcelona on February 16, 2011 might just be Arsenal's best win over the past two calendar years. I suppose that's a coincidence to feel optimistic about, right? English sides were 3-0 in Champions League matches with Rizzoli as the referee up to that point, though since then, Tottenham lost 1-0 to Real Madrid and Chelsea drew 1-1 with Valencia with Rizzoli in the middle. German sides have a record of one win and three losses, though the one win was Schalke's 3-0 victory over Lyon in the 2010 group stage in Gelsenkirchen. One of these matches was an English-German meeting between Manchester United and Bayern Munich, in the 2010 knockout phase. United won the match 3-2, but Bayern went through on away goals as a result. Joe Hart is not goalkeeping correctly in this image. Group B's other match this week is in Greece as Olympiacos hosts Montpellier. As the group stands right now, Schalke leads with seven points, Arsenal has six, Olympiacos has three, and Montpellier has one. Manchester City's Champions League hopes are on the line tonight as they host Ajax at Eastlands. Elsewhere in the Super Ultimate Group of Death 2012, Real Madrid hosts Dortmund in Spain, having lost in Germany on Matchday 3. 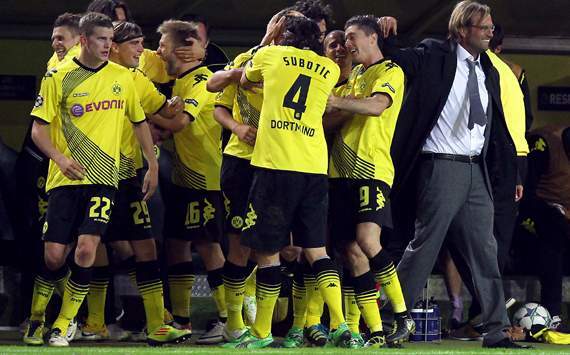 Dortmund sits on top of the group with seven points, Real Madrid has six, Ajax has three, and City has just one. City cannot qualify for the knockout phase if they lose AND Real Madrid gets at least a point against Dortmund. In other matches tonight, Group A sees Dynamo Kyiv host Porto in Ukraine and PSG host Dinamo Zagreb in France. Porto has nine points, PSG has six, Kyiv has three, and Zagreb has none. Porto will clinch a place in the Round of 16 with just a point. Group C sees Anderlecht host Zenit and AC Milan host Malaga. Malaga is five points clear at the top of the group. Shakhtar Donetsk leads Group E, but faces a trip to Stamford Bridge tomorrow to take on Chelsea. Juventus sits third in the group, as they will host last place Danish side Nordsjaelland, which I can now apparently spell from memory. Manchester United are five points clear at the top of Group H; they are away to Braga, while CFR Cluj hosts Galatasaray. Barcelona are five points clear at the top of Group G; they are away to second place Celtic. Benfica hosts Spartak Moscow in Lisbon. 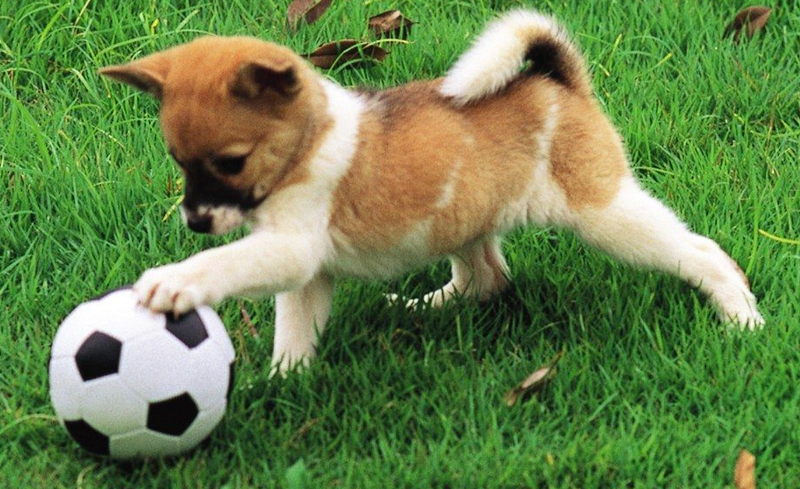 As for Group F, Valencia, Bayern Munich, and BATE Borisov have all won two out of three, while Lille has zero. Valencia hosts the Belarussian side while Bayern hosts Lille in Munich.